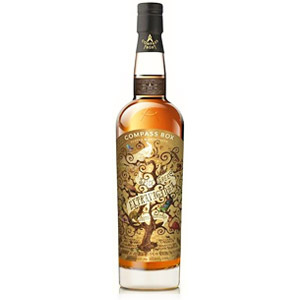 This being the 10-year anniversary of Compass Box having to halt production of the original Spice Tree, a blended whisky with French oak barrel staves inserted into the barrels (a scotch whisky regulation no-no), the Extravaganza is a bumped-up version of the remade Spice Tree, which uses toasted new French oak barrel heads instead of inserted staves in accordance with regulation. 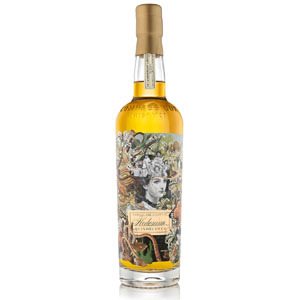 The 3 Year Old Deluxe is a thumbed nose at UK regulations because it contains (unspecified ages of) older whiskies with 0.4% of 3 year-old Clynelish. In effect, it’s a blended malt scotch whisky with 90% old-ish Clynelish and 10% old-ish sherried Talisker bottled at a robust 49.2% ABV without added color or chill filtration. In accordance with the age and quality of the whisky (and not the minimum age on the label), this is not going to be cheap. 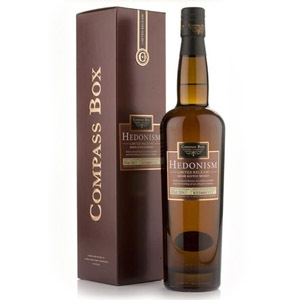 This is a a proprietary blended scotch, exclusive to Bern’s Steak House in Tampa, FL, which was blended for them by Compass Box. 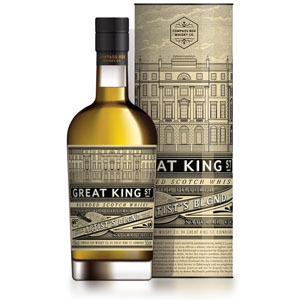 Similar to Compass Box’s Hedonism, this is a blend of old (very old) grain whiskies: 5 casks of 40 year-old Strathclyde and Girvan were used. This is a blend of some seriously old scotch, (and I love me some old scotch), with a price tag to match ($250 or so. Eek!). The specs are spot-on. 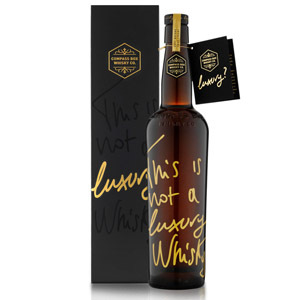 Compass Box was kind enough to tell us EXACTLY what’s in this whisky…. 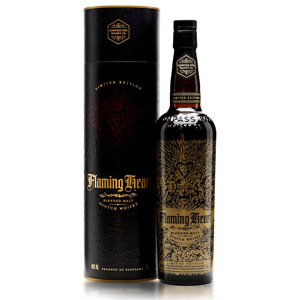 Flaming Heart Fifth Edition is a Blended Malt Scotch Whisky (meaning it consists of malt from different distilleries, but no grain whisky)…. 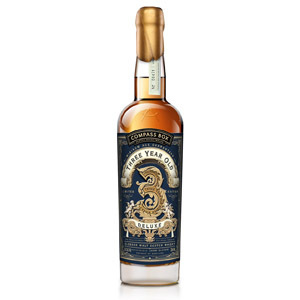 The goal of Flaming Heart has always been to showcase Compass Box’s hybrid barrels with new French oak heads in balance with quality Islay peated malts. 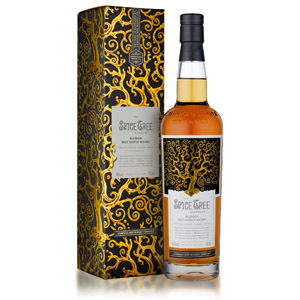 This 15th anniversary edition kicks up that formula with some older Caol Ila. 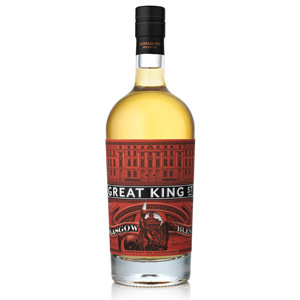 This special release is a blend of grain from four distilleries of various ages, none of which are younger than 20, and all of which aged in ex-bourbon American oak casks. The result is bottled at 46% ABV with no added color and no chill filtration. I’m particularly impressed with the interplay of sherry notes (which are fleeting) with peat notes (which are understated but dominant), without the two ever conflicting. I’ve had $80 peated malts finished in sherry casks that didn’t integrate half as well. I don’t know if I’d call it hedonistic, but this is a prime example of what can be done with skillful blending and excellent grain whiskies. The nose is light and sweet, the flavor is packed with bakery sweets and spices, and the finish is crisp, elegant, and flawless.